If you live in Kentucky, you live with visual reminders of the legacy of Abraham Lincoln every day. He is our ubiquitous icon: statues, murals, and signs dot the state attesting to his connection to the Commonwealth. 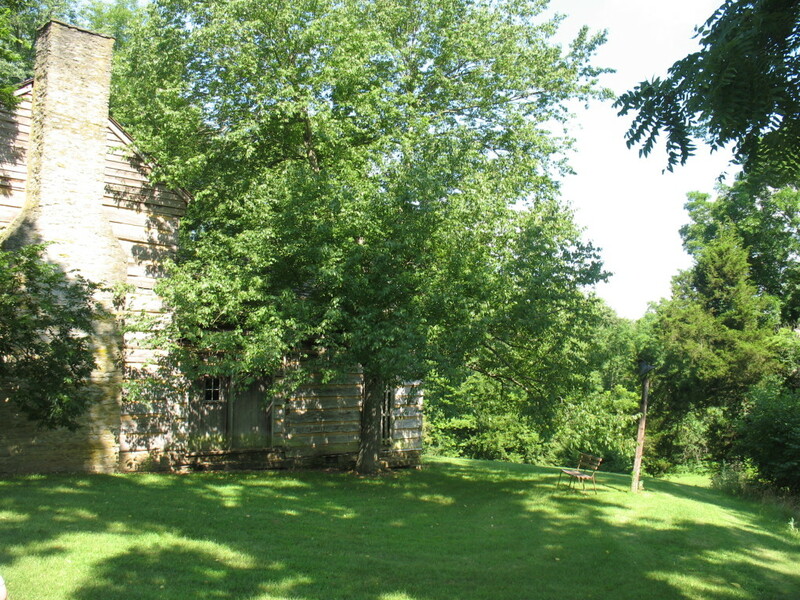 There’s a small and relatively unknown yet historic spot related to him: the Lincoln Homestead State Park. The president’s grandfather, Captain Abraham Lincoln, settled here with his wife and sons after the Revolutionary War. Thomas Lincoln, the president’s father, allegedly proposed to Nancy on the site in front of a fireplace; the original cabin still stands. The park has a few original structures as well as replica buildings. The original home owned by Moredecai Lincoln, the president’s uncle, still stands here as well. Below is a shot I took of one of the historic buildings. Not that great, but shows you a little of what it looks like. Beyond this area and below it is a small creek, which is probably a feature that attracted settlement in the area. This is not a big place–its main attraction is really a golf course to the south of the historic sites. There is also a picnic area slightly to the north of the historic area, along with a playground. 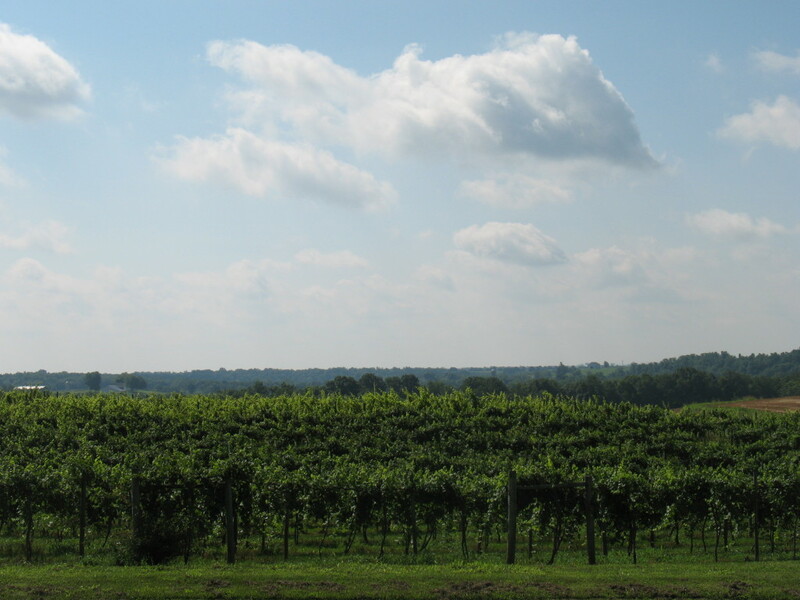 This was the view a few summers ago across the road from the picnic/playground area: a vineyard! I noticed the park on a map a few summers back and visited. It is not far from where I live (within an hour), but it is definitely off the beaten path. The physical address for the park is Springfield, Kentucky, a few miles to the southeast. 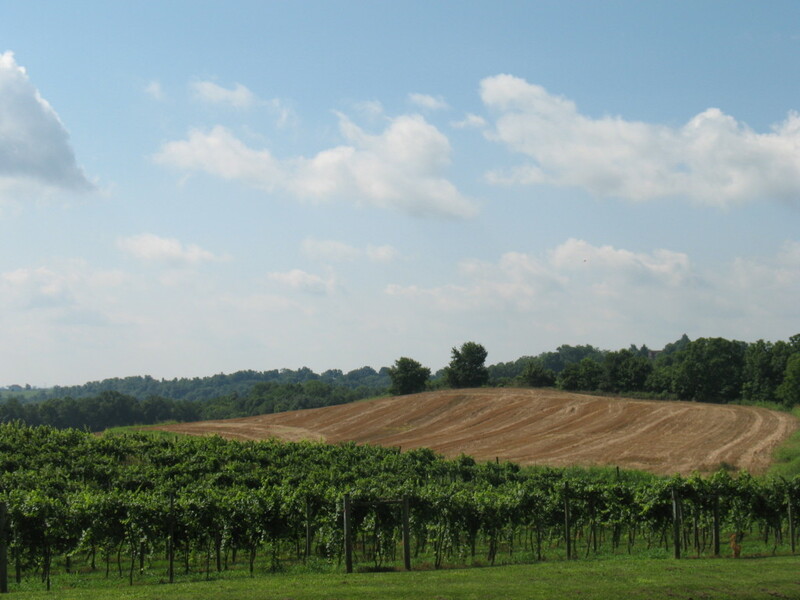 As it turns out, the park is just west of where Bourbon Springs would be if it existed–slightly south of Willisburg. Bourbon Springs would be about where the marker for Route 555 appears on this map (above the road marked Route 438). Bourbon Springs Box Set I is still free–that’s three books (Secret Blend, Filtered Through Blue, and Angels’ Share) plus a short story (Secret Sauce) all in one for zip. Nada. Zero. Nothing. Top 100 Free Kindle Books: Check out the freebies. Amazon Giveaways: Do you ever enter these? Sometimes you have to watch a video or follow an author to enter, but many have no entry requirement. Pinterest boards updated and reorganized! 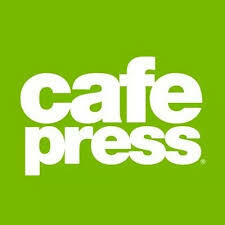 Lots of cool new stuff to discover. 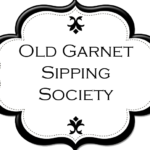 Join the Old Garnet Sipping Society, my Facebook readers’ group, to get a free short story and background info about the stories.